If you think wearable technology like Google Glass or the Apple Watch are just part of a fad, think again. According to a study released by Juniper Research, titled "Smart Wearable Devices: Fitness, Healthcare, Entertainment & Enterprise: 2013-2018," many people are already thinking of the ways to use wearable technology for manufacturing. 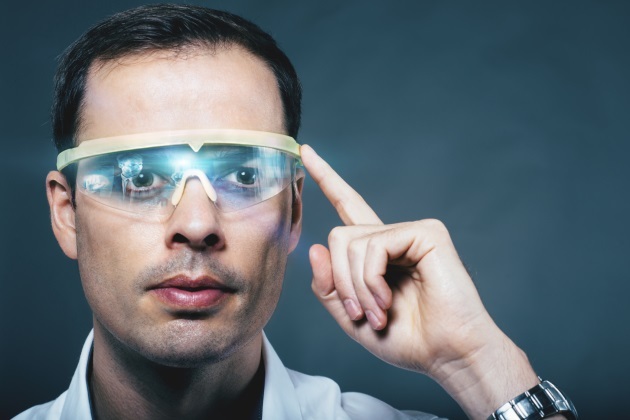 Automation World ran an article online June 10, "Wearable Technology Hits the Factory Floor," describing how one software manufacturer called APX updated the software it sells so that it allows for connectivity to wearable technology, including Google Glass and Apple Watch. Using wearable technology allows workers to get information, systems and applications with just voice commands and not a computer or phone. This allows for workers to stay at their workplace while receiving information they need right away without stepping away from the production line. Jon Marshall of Minnesota-based V.I.O. says of how many manufacturers already have begun using wearable technology, "The adrenaline sports embrace of POV cameras is easy to identify: they allowed users to focus on the moment, not the equipment. The same applies for business use of wearable tech," Marshall says. "Manufacturers have used mounted security or IP cameras for decades. Now, using wearable technology, video solutions can be more mobile and allow for more uses. “From a maintenance perspective, plant operations managers would be able to see workflow and potential issues in real-time, from a remote location if necessary. Or, with archiving video, managers could capture footage for review and implementation of preventative maintenance procedures." According to Gartner Research Director Angela McIntyre, the role of wearables for factory field service helps field technicians find and fix problems rapidly, with a savings of nearly $1 billion a year starting in three to five years. With a diagnostic panel strapped to an employee's arm, they could plug into the equipment and quickly find the problem, and then have the device receive instructions on what repair protocols they need. Wearable technology is a valuable tool in manufacturing by making production workers more efficient. It cuts time for doing tasks, and appears to be expanding at an exponential rate. Presently, smartwatch applications are most common, with heads-up glass displays such as Google Glass closing in. While wearable technology has a large role to play in the manufacturing process, to succeed it must meet five needs. Value — When a wearable device allows for informed, immediate decision-making on the factory floor about health and work activities, like any other buying decision, cost-sensitivity and strong reliability are the keys to long-term success. Comfort — If the device is uncomfortable, fits badly, or gives irrelevant information, wearers will simply not bother and get needed information elsewhere. Portability — Workers have access to the wearable device at all times; charging time is quick. Multi-functional — This allows for leveraging technology. A forklift driver may already wear headphones. Why not combine that with exact locations via GPS or radio-tagging for item locations of things that are ready to be shipped? Fashionable — More manufacturers of wearable technology are partnering with design firms to give their devices a more fashionable look. It the device is wearable, then it should be fashionable. While the market for personal use of wearable device is huge and still growing, so is the market for industrial use of wearable technology. Wearable tech at the workplace improves productivity, employee safety and factory floor efficiency. It is the next step in how technology positively impacts the manufacturing process. Alan Kelsky holds a master's degree in business administration and a bachelor's degree in comparative economics. He spent many years in the healthcare sector before becoming the owner of Electric Control Services (ECS). Electric Control Services uses innovative technologies to reduce utility consumption of manufacturing and commercial buildings. Most jobs have a payback period of three years or less. Alan lives in Folsom, California, with his wife Mary and rescue dog Jake.